At the start, the robots produced blue light at random. However, as the robots became better at finding food, the light became more and more informative and the bots became increasingly drawn to it. The red ring is large enough for just eight robots, so they had to jostle each other for the right to “feed”. The effects of this competition became clear when Mitri, Floreano and Keller allowed the emission of blue light to evolve along with the rest of the robots’ behavior. As before, they shone randomly at first and as they started to crowd round the food, their lights increasingly gave away its presence. The more successful robots became more secretive. By the 50th generation, they became much less likely to shine their lights near the food than elsewhere in the arena. Popular SF author Michael Burstein is thinking about running for the U.S. Senate seat left vacant by the death of Senator Ted Kennedy. This is no gag. If he runs, it won’t be a publicity-seeking candidacy of those filed in the recall election for California governor of 2003. Burstein is actively interested in public service and already holds elected office in his hometown. He has represented Brookline residents in Town Meeting since 2001, and was elected a Public Library Trustee in 2004. Massachusetts law currently states the special election has to be held between 145 and 160 days after a seat is vacated. Just about every member of the state’s 10-member all-Democratic congressional delegation has been mentioned as a potential candidate, particularly Reps. Edward Markey, Richard Neal and three others who have already banked more than a million dollars in their House accounts. Update 08/20/2009: Fixed a broken link – thanks to the Crotchety Old Fan for the head’s-up. I was flabbergasted. It was one of the kindest things that any total stranger had, without warning, ever stepped up and done for me. I showed the letter to Betty Anne and she was as touched as I was. Mr. Pohl tested easily into Brooklyn Tech back when it was new. Then, sometime around his junior year, he hit a wall. “I largely stopped paying attention,” Mr. Pohl recalled by phone from his home outside Chicago. He failed two drawing classes, one of them twice, and a math class. His father and mother were divorcing at the time, which he thinks probably explains his troubles at school. “I can scarcely believe I was so dumb as that,” Mr. Pohl said. Incidentally, Fred never attended college either. Because they are always held where deals are to be had on hotels and convention space, it is not uncommon for them to get the entire convention center or a large portion of it. This turns out to be a temptation which most cons succumb to, but should not. Read his blog for the factual breakdown and analysis. I would only add that committees yield to this temptation while they are still in the Worldcon bidding process. Advertising plans to use a fine convention center makes bidders more competitive. Then after winning, in the tradition of Parkinson’s Laws, the con expands to fill the space available. The best chance of concentrating activity into something with a sense of neighborhood is if lots of fans tell bidders they don’t prefer expansive use of a big city convention center with endless corridors. Anticipation offered an interesting mostly plenary session with Charlie Stross and Paul Krugman, and it did indeed become a shared experience and talking point for the whole crowd. Strangely, Anticipation actually scheduled several sessions opposite the Hugo Awards which is almost always a plenary. At Anticipation, I attended a session on the last day (usually sparse) on the Fermi paradox. It was in a small room and standing room only. Across the hall was an author reading in a large room with 2 audience members. So I pulled a “panel switch” and asked the author if she would mind moving to a small empty room with her reading, and she was nice and did. Of course you also need to be able to quickly put up signs about the room switch. Right. Informing the world about unilateral room changes arranged by panelists shouldn’t be too tough. How about a gofer on a Segway with a printer in her backpack roving the halls outside program rooms checking to see if the original panel is still inside? No, no, I’m still not being flexible enough. Really, if panelists work this out between themselves, then they can take a pen and a couple pieces of paper and put up their own signs too. Most people will end up where they want to go. Never let the perfect be the enemy of the good! Surprisingly, at least at the Hugo awards, I’ve never seen them get the absent nominees or winner on the phone to let them accept in person. This sounds like a genuinely modest request even to me, a jaded conrunner who tends to believe “Tech always fails.” The question is what technology to gamble on. This is a little tricky as sending video requires a fair bit of CPU. You can’t readily be sending Skype to multiple nominees without multiple PCs. You can however send a video feed using other live streaming video tools which send one video to a master server from which people can stream. Indeed, for the Hugo awards, it would be possible for all sorts of absent people to watch the awards live via video. Beginning any advice about tech with the phrase “this is a little tricky” is fatal so far as my interest is concerned. But as Templeton points out, there are various ways this can be done, whether there’s full-on video, a voice-only connection, or simply Tweets from the absent winner. Ten pages of new cartoons by Alexis Gilliland are up at Alexisgilliland.org. Credit an assist from his wife, Lee. Anne Braude passed away August 25, ending a months-long hospitalization with several surgeries, due to an advanced intestinal infection. Anne Braude was a co-editor of Niekas (with Ed Meskys) and an early member of the Society for Creative Anachronism when it still met in Poul Anderson’s back yard. She also authored several short stories, including “The Quincunx Solution” in Catafantastic IV and “For A Transcript, Send Five Dollars” in the Olympus anthology (DAW, 1998). What if Yonmei’s “Joanna Russ Amendment,” rejected by the Anticipation business meeting, had actually passed? Her idea was to add to the final Hugo ballot a nominee by a female author in any written fiction category that lacked one after finalists have been selected by the usual rule. The additional item would have to come from the top 15 vote-getters. …it occurred to me cheerfully that as a WSFS member, I could propose an amendment to the Hugo rules. A sort of Joanna Russ amendment. An “up yours!” amendment to all the fans so smugly certain that the only reason there are so many all-male shortlists in the Hugos is because men are just more excellent writers of SF/F than women are: if women were as good as men, this reasoning goes, there just naturally would be equal numbers on average from year to year. For the record – I’ve never picked up a book or not picked up a book because of the author’s name, perceived gender, race, whatever. How often would the Joanna Russ Amendment have been used? In 2009, for Best Novel; in 2008, for Best Novel and Best Novelette; in 2007, for Best Novella, Best Novelette, Best Short Story, and Best Fan Writer; in 2006, for Best Novel and Best Novelette; in 2005, for Best Novelette and Best Short Story; in 2004, for Best Novelette and Best Short Story; in 2003, for Best Novel, Best Novella, and Best Fan Writer; in 2002, for Best Novelette and Best Fan Writer; in 2001, for Best Short Story; and in 2000, for Best Short Story. What do we get? Jo Walton’s Prometheus Award-nominated novel Half a Crown would have gotten a run at the Hugo. Two Harry Potter novels that fell shy of enough votes for the final ballot would have been added. 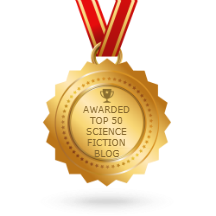 There would have been additional nominations for Nancy Kress, Ursula LeGuin, Lois McMaster Bujold, Kage Baker and Maureen McHugh, who have appeared on the final ballot many times. I had wondered if the rule came with a built-in weakness, forcing Hugo Administrators to reach so far down the list that the stories would lack excellence, or have gotten trivial numbers of votes. From this list I see that particular problem would not have been much of an issue. Update 08/28/2009: Corrected reference to Jo Walton’s Prometheus Award nomination following her comment. (2) Iain Banks’s latest novel, Transition, is to become the ‘first’ newly published book to be serialised internationally on iTunes. (3) Another ‘first’ reported by Publishers Lunch (registration required), is surprising, if true. Is Bradley Ricca’s Super Boys: Jerry Siegel, Joe Shuster and the Creation of Superman really the first-ever biography of the creators of Superman? Paul Krugman is not the first winner of the Nobel Memorial Prize in Economic Science to be inspired by Isaac Asimov’s Foundation trilogy (“Up Front,” Aug. 9). Roger Myerson, a game theorist at the University of Chicago who won the Nobel in economic science two years ago, gave a copy of “Foundation” to the Nobel Museum in Stockholm to commemorate the inspiration he took from Asimov’s books. (6) Here are Pat Rogers’ photos of Comic Con. and her collection of statuary for company. and was ill-used after her death. That’s one version, anyway; here is another part of her story. Do you think the interface between IT and humans has developed in the way that was initially predicted by science-fiction writers over the years? Not if you take the initial ‘prediction’ to be the highly popular scenario where interfacing with IT means giving orders to robots and, from time to time, being horribly killed by robots who don’t like taking orders. Ambrose Bierce had a 1909 story about a robot chess-player which was such a bad loser that it vindictively murdered its creator. Aussiecon 4 chair Perry Middlemiss has announced a membership rate increase effective September 1, 2009. The new US dollar attending rate will be $225, and the rates in several other currencies are listed in the press release. The full text appears after the jump. (1) Roger Lay Jr. has posted a video of Ray Bradbury blowing out the candles on his 89th birthday cake. (2) Bradbury’s birthday rated a story in the Glendale (CA) paper, and an excellent photo demonstrating the close resemblance between the author and his cake. More than 100 people crammed into the Mystery and Imagination bookshop to help Bradbury – best known for penning the 1953 science-fiction novel “Fahrenheit 451”- celebrate his 89th birthday. “Your books will live forever,” Christine Bell, one of the store’s owners, told Bradbury, presenting him with a giant birthday card that had been signed by many in attendance. Fans who lived too far away to attend learned of the event on the Internet and sent dozens of birthday cards, which Bell also presented to Bradbury. Update 08/26/2009: Removed Newsfromme link which did not work.